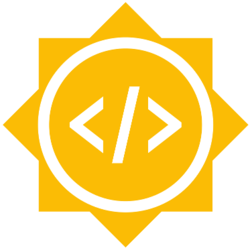 This page will aim to be a general informational page for students, mentors and others interested in Joomla's Google Summer of Code Program. Google Summer of Code is a program run by Google for college students interested in getting a stipend to contribute to FOSS projects. They will spend there summer with improving and writing new features for the project. Visit the Google Summer of Code site to learn more. Joomla developers are currently working on multiple projects: the Joomla CMS 3.x Version and 4.0.0 (2018-2019). Additionally there are many side projects related to testing, Docker, core extensions and other projects. The CMS is the very popular and well known FOSS content management system powering currently 3.2% of the internet. The Framework existed within the CMS as a tightly coupled set of utility packages and classes. Eventually developers decided they wanted to work with just those utilities and write new applications not coupled to the CMS. The Joomla Issue Tracker is the first Application built on top of the new Joomla Framework and is currently nearing it's first stable release. The project supports all of these initiatives, as does Google Summer of Code. On our ideas list you will find projects related. Please check the GSoC Student Application Template to understand what we are expecting from your proposal. Want to be a mentor? Please check the GSoC Mentor Guidelines. Joomla GSoC 2017 students blog articles. This page was last modified on 24 November 2017, at 02:58.